SATISFĪD JERKY is an all natural jerky made with premium cuts of beef brisket from Harris Ranch and then smoked and flavored in a California smokehouse facility. Our all natural brisket beef jerky is made with no added preservatives, no added msg, no nitrates or nitrites, no fillers and no binders of any kind. Our jerky has a lower sodium content than most commercial manufactures. We use only the highest quality cuts of beef brisket and only the best ingredients. Everything is done to the highest standards, to produce exceptional taste and tenderness, all without chopping, pressing or forming our jerky. 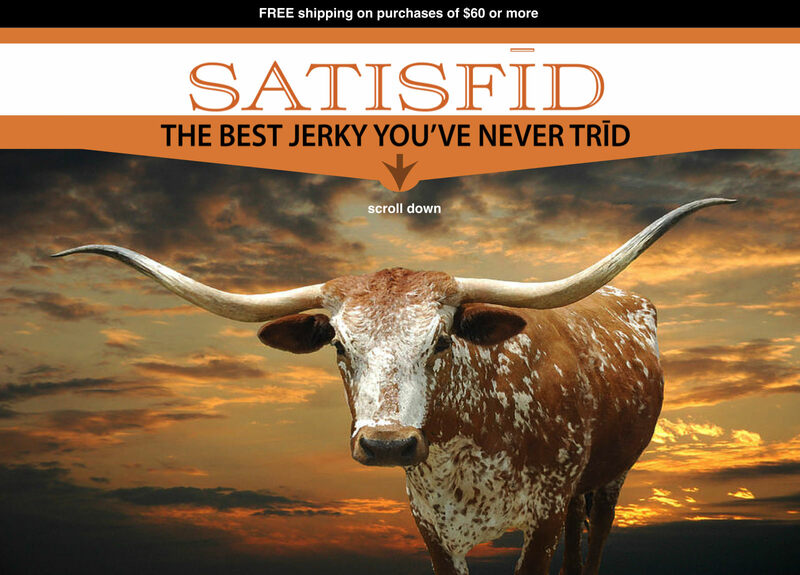 SATISFID Jerky is sold and distributed by Satisfied Fulfillment, LLC.